Self-Test: What Kind Of Literary Agent Are You Looking For? - Writer's Relief, Inc. When you begin querying for a literary agent, it’s important to know what you want. Every literary agent has his or her own style, preferences, and skill set. 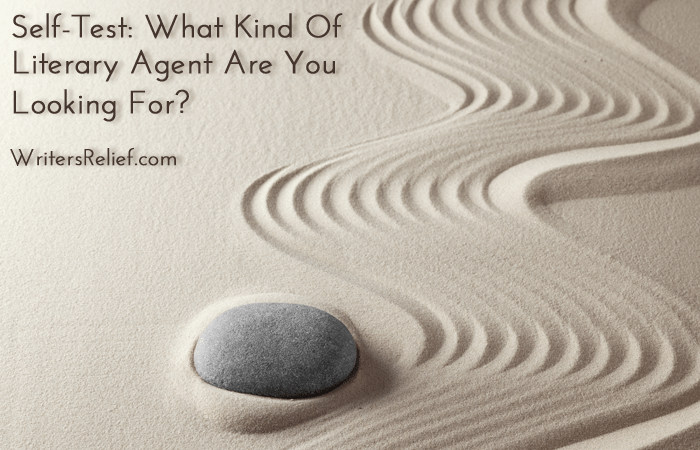 So how do you know what type of agent is best for you? To make the best choice, you need to know the answers to a few basic questions. Just as most people wouldn’t start shopping for an automobile without first knowing if they wanted a sports car or a minivan, you shouldn’t start looking for a literary agent until you know what business and personality qualities matter most to you. Knowing what you’re looking for before you start sending out queries will help make your future partnership a successful one. 1. How do you like to communicate? Some literary agents use email exclusively, while others prefer phone calls from clients. There are literary agents who want to meet face-to-face with their clients (or their potential clients), as well as agents who do not prioritize one-on-one meetings. If your initial dialogue with a potential agent does not give you a clear indication of his or her communication preferences, then just ask. Read more: Nine Questions To Ask A Literary Agent. 2. How much critique do you want or need? Most literary agents offer some level of critique for a new client. But do you want a literary agent to be critiquing your writing? Or do you feel that the editorial process should happen exclusively between writer and editor? Know what you want so that you can ask the right questions when you begin talking to your potential agent. 3. Do you want a big-name literary agency to represent you or a boutique agency? Big literary agencies offer certain advantages, like power in negotiating and a recognizable brand name. But small literary agencies have advantages too, like lots of personal client attention. Find out more in our article: Which Is Better: A Big Literary Agency Or An Independent, Boutique Agent? 4. Do you want an experienced agent? Or a brand-new agent? What established literary agents might have in the way of experience, new literary agents could counter with lots of enthusiasm and drive. Learn the facts here: Should You Sign With A New Literary Agent? 5. Are you willing to work with a literary agent who is new to representing books in your genre? Some literary agents decide, mid-career, that they want to work with a different type of book. For example: An agent who has typically represented nonfiction might decide he or she also wants to take on a few novels. Are you open to working with a literary agent who has experience and enthusiasm—but perhaps not the personal, established connections within your genre? Be prepared to compromise. If you have your mind set on only accepting your dream version of the perfect literary agent, you may miss out on a potentially successful pairing. Decide what you can live with and what you can’t. Then, it’s time to start sending out your queries to literary agents! QUESTION: What do you think makes a good literary agent? 4 Responses to Self-Test: What Kind Of Literary Agent Are You Looking For? Accepting a critique from an experienced agent, can make all the difference in securing representation. If the guy has a track record of sales, he might be worth a listen. Glad she eventually found an agent she likes, but I’ll pass. Don’t need one, don’t want one. Could that chnage? Sure. At that point, I might go hunting for an agent, but my feeling is that if I ever really feel the need for an agent, the agents will most likely come calling on me. In other words, my own personal level of success would have to be quite a bit higher than it currently is.Until then, I like what I’m doing. I wish I could name properly my genre, as you can, Caroline. I’ve spent more years than I like to admit trying to persuade an agent to take on my novels. Finally I had two published PoD. Not satisfactory. I’ve lost count of queries to agents about the third. So many failures make me think I need someone ready to edit, or at least seriously critique. So I spent a good deal of money on professional editing, to no avail thus far. I’m fairly realistic about the quality of what I write, but I lack contacts. Frankly, I think that item should be part of any honest discussion about finding an agent. I’ve never really thought about finding an agent like this. I’m new to the children’s writing arena and think personally a small and even a brand new agent would be the match for me. With chapter books and already having done most the work myself, it’s the individual attention that would benefit us both. Thanks for the insight. Happy reading, writing, and for all my fellow writers out there. Keep moving forward. Don’t wait for your dreams to come true, make them come true. When the timing is right, then God will bring forth the person in your life and together you will succeed.